Nontraditional unstructured data: The second dark analytics dimension focuses on a different category of unstructured data that cannot be mined using traditional reporting and analytics techniques—audio and video files and still images, among others. Using computer vision, advanced pattern recognition, and video and sound analytics, companies can now mine data contained in nontraditional formats to better understand their customers, employees, operations, and markets. For example, a retailer may be able to gain a more nuanced understanding of customer mood or intent by analyzing video images of shoppers’ posture, facial expressions, or gestures. An oil and gas company could use acoustic sensors to monitor pipelines and algorithms to provide visibility into oil flow rates and composition. An amusement park could gain greater insight into customer demographics by analyzing security-camera footage to determine how many customers arrive by car, by public transportation, or by foot, and at what times during the day. View it as a business-driven effort: It’s time to recognize analytics as an overall business strategy rather than as an IT function. To that end, work with C-suite colleagues to garner support for your dark analytics approach. 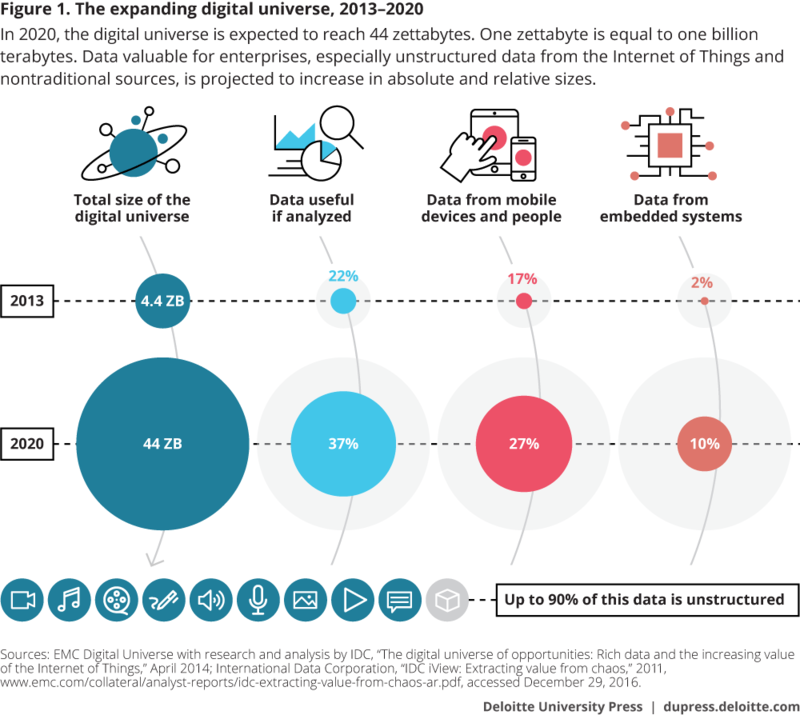 Many CEOs are making data a cornerstone of overall business strategy, which mandates more sophisticated techniques and accountability for more deliberate handling of the underlying assets. By understanding your organization’s agenda and goals, you can determine the value that must be delivered, define the questions that should be asked, and decide how to harness available data to generate answers. Data analytics then becomes an insight-driven advantage in the marketplace. The best way to help ensure buy-in is to first pilot a project that will demonstrate the tangible ROI that can be realized by the organization with a businesswide analytics strategy. Written by: Tracie Kambies, Paul Roma, Nitin Mittal, Sandeep Kumar Sharma.